Agustin Martin: "Anticipating what is going to happen is the most critical element." 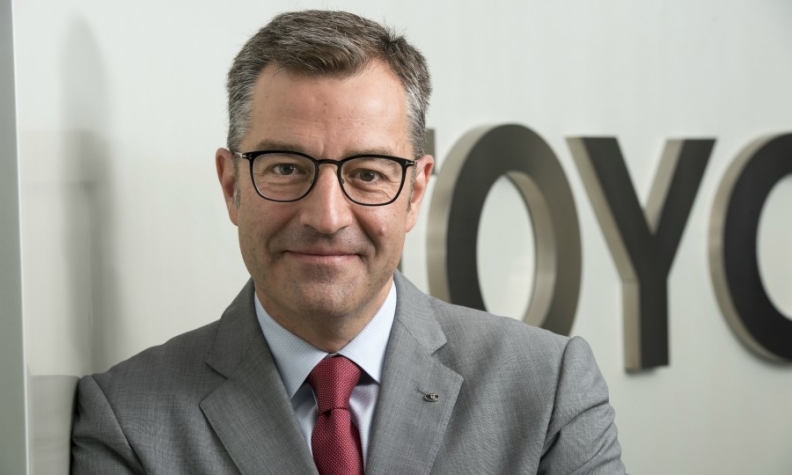 Toyota Europe wants to be a leader in connectivity and the man in charge of achieving that goal is Agustin Martin. He outlined the biggest challenges he faces and provided insights into the costliest parts of making vehicles more connected in an interview with Automotive News Europe. Who is driving the connectivity agenda? Is it mostly coming from consumers or manufacturers? Consumers. There is a clear desire on their part to have a seamless life. We must respond to this and technology is the enabler. What is the biggest challenge for connectivity and how will you address it? Adjusting a 100-year-old planning process to the "I want it now" mindset of today's consumers. We will do this through wider collaborations than ever before, both inter and intra industry as we are both trying to satisfy the same consumer. This seamless life that consumers want requires many operators and industries to talk to each other and this makes it one of the most exciting moments in our history. What is the costliest part of meeting the connectivity challenges? Understanding that if we don't collaborate we will be out of business. There are already many examples of companies that went out of business almost from one day to the next because they did not anticipate consumers' needs. To avoid this, you must adjust your thinking and look at new ways of approaching the challenges. This means being more agile and working with dynamic organizations including startups, incubators and accelerators that can allow you to gain ground in a shorter time. How do you see the industry reshaping in the years ahead? We are moving into an era of cars that are going to be connected, shared and using alternative powertrains. These are natural steps toward a new kind of business that will be less related to manufacturing and more related to mobility. What aspect of the transition keeps you awake at night? Trying to do it quickly and staying ahead of the needs of the consumer. Anticipating what is going to happen is the most critical element. Reacting is very easy; the science lies in being able to anticipate. You do this by keeping your eyes and your ears more open than ever before but also your thinking [must be open]. We have to take a more holistic view of how we redefine our business and how we translate this through our distribution channels with the aim of delivering the best experience to consumers using knowledge and skills that are different to what we have been used to for the last 100 years. It is a gigantic shift and means having fewer layers of responsibility and more direct relationships with our teams. Data monetization is seen as one of the attractions of connected car. How is that shaping up? The key element is that consumers see value in what you are offering. They will pay for a service if it brings value to their lives. What they will pay for varies from country to country and this is where local know-how will define the services and products we offer. We cover 53 countries in Europe and the needs vary dramatically. How are you protecting data privacy? We embrace privacy by design. By this I mean it is part of the design brief when we build our technologies. Legislation is there to frame what is possible and not possible and being compliant with the law is critical. The legislation sets the rules and gives us the framework to compete on equal terms.